Going out on a trip with your family can be both enjoyable and bothersome. Indeed you get to spend the time strolling, taking pictures, and having snacks together but your main concern will always be your kids’ safety. Particularly when you need to go for a long drive, their comfort and safety inside the vehicle is one of the most important things you might be thinking about. On the other hand, if you also plan about travelling overseas with your kid, it could take higher risk – risk in safety and comfort. Facing this dilemma, you should consider buying the best convertible car seat for your child. It would be much better if you also take consideration of buying a car seat for airplane use. The convertible car seat for travel use should be the most appropriateone for your kid with all the consideration of the major factors related to your kid’s physical aspects. What are the factors you should consider first before getting a convertible car seat for your kid? How To Choose The Convertible Car Seat? 1 How To Choose The Convertible Car Seat? 5 Should You Rely On The Convertible Car Seat Reviews? 6 Should Your Convertible Car Seat Always Have To Be Expensive? 9 Is A Convertible Car Seat With Detachable Base Preferrable? 12 What Is The Safest Convertible Car Seat? 13 How Should You Clean A Car Seat? Choosing a child safety seat for the children has been recommended by many parents for quite a long time. Since travelling with a child involves more responsibilities and higher exposure to possible risks out on the road, choosing a car seat for long trips is evidently valuable. Primary factors are needed to be considered. AGE, HEIGHT and WEIGHT – As what most manufacturers always remind about, the age, height and weight of the child should always be taken noted of. It is prerequisite to know their physical aspects as the most suitable car seat depends on it. Child safety seats vary in type – infant seats, rear-facing and forward-facing car seats and booster seats. Each type has its designated age, height and weight limit. If you choose the wrong car seat, your child will not be comfortable as he needs to be and the worst, its purpose to keep the child safe won’t be effective. VEHICLE’S CAPACITY OR AVAILABLE SPACE – Another factor to consider before buying a car seat is your vehicle’s capacity or available space. Some users have larger vehicles but some have smaller ones and child safety seats don’t have standard sizes. They vary in sizes and certain car seats are customized to fit only with larger vehicles but some are not. You have got to check your vehicle’s capacity if the car seat you’re planning to buy would fit perfectly in it or if it would be too big or too small at the back seat. PORTABILITY – One of the main reasons why you would buy a convertible car seat is to ensure your child’s safety while travelling and hence, it is best to have a car seat that is portable and travel-friendly. But still, the car seat should always prioritize the child’s safety and comfort. COMFORT – The vehicle’s car seat, oftentimes, does not provide a suitable fit for kids which eventually, becomes uncomfortable. Thus, your child would not feel comfortable during the whole trip and would just end up stressed and unhappy. Insufficient comfort might affect your child’s mood. So, when you choose a car seat, make sure you get the comfiest one for your child. Such comfort will also be provided if you take consideration of the previous factors. BUDGET – Budgeting the expenses is definitely one of the major responsibilities of a parent and getting a car seat under your list is an additional expense. It may be an adjustment but you know it is worth it. However, child safety seats do not always need to be expensive. Expensive convertible car seats don’t mean they are the best ones. If you have a limited budget, you can go over the car seats on the market, online or in shops andlist down and compare the specifications, and look for the convertible car seat on a budget price. After considering the factors mentioned above, the next step you’ll probably do is look for a child safety seat. Manufacturers provide the information regarding the age or weight limit of their car seats. You can check the chart below to see which convertible car seat is according to your child’s weight or age. Amazon, on the other hand, offers a long list of car seats that you can choose from. 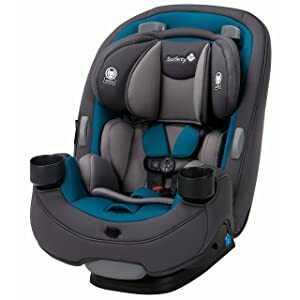 We have listed below the Top 10 Convertible Car Seats on the market to help you find the most suitable car seat for your child. 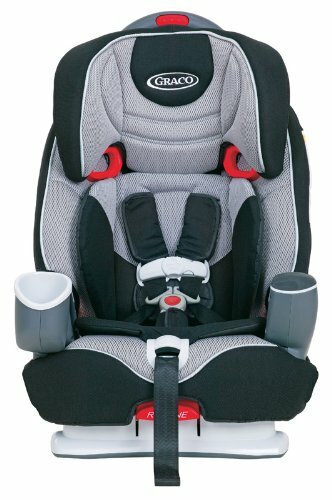 Graco 4ever All-in-One Convertible Car Seat, Matrix Rear-facing - 4 to 40 lbs. Booster seat (high back belt) - 30 to 100 lbs. Booster seat (backless belt-positioning) - 40 to 120 lbs. Graco My Ride 65 LX Convertible Car Seat, Coda Rear-facing - 5 to 40 lbs. Safety 1st Grow and Go 3-in-1 Car Seat, Blue Coral Rear-facing - 5 to 40 lbs. Graco Nautilus 3-in-1 Car Seat, Matrix Forward-facing - 20 to 65 lbs. Booster seat (high back-belt positioning) - 30 to 100 lbs. Diono Radian RXT All-In-One Convertible Car Seat, Shadow Rear-facing - 5 to 45 lbs. Forward-facing - 20 to 80 lbs. Booster seat - 45 to 120 lbs. Evenflo Tribute LX Convertible Car Seat, Saturn Rear-facing - 5 to 30 lbs. Forward-facing - 22 to 40 lbs. Safety 1st Guide 65 Convertible Car Seat, Seaport Rear-facing - 5 to 30 lbs. Britax USA Advocate ClickTight Convertible Car Seat, Circa Rear-facing - 5 to 40 lbs. Graco Size4Me 65 Convertible Car Seat, Pierce Rear-facing - 5 to 40 lbs. Safety 1st Alpha Omega Elite Convertible Car Seat, Bromley Rear-facing - 5 to 35 lbs. Forward-facing -22 to 50 lbs. Booster seat - 40 to 100 lbs. Buying a car seat for your child’s safety and comfort is one of the best decisions before you head out on a trip. But, inevitably, as they grow up, you have to change their car seats time to time which means you have to adjust on your budgeting. Of course, you don’t want to keep your child on a car seat that’s not fit for him anymore. So, for those parents who are looking for the convertible car seat on a budget price yet practical for all ages, the Graco 4ever 4-in-1 Car Seat would be the best choice. The Graco child safety seat provides comfort for children of all ages beginning from infants, toddlers and even up to young adults. It features a Simply Safe Adjust Harness System that allows you to make adjustments with the height and harness without any hassle. With this feature, it assures the child’s safety providing a proper fit and comfort. It guarantees safety quality as this has been side-impact tested for occupant retention with built-in 5-point harness system, engineered and crash tested. The InRight Latch system provides a 1-second latch attachment and to support your child’s comfortability, the reclining is available up to 6 positions and the headrest is up to 10. You just have to keep in mind the weight limit the manufacturer provides. The rear-facing seat is applicable for children up to 40 pounds, forward-facing is up to 65 pounds and the booster seat is up to 120 pounds. Many users have expressed their satisfaction with this product stating how it was lightweight, comfortable, easy to use and excellent. The set up was also easy, the padding is also comfortable, the reclining feature is neat, the latch system worked wall and was installed easily and the seat belt did work as well. All in all, an excellent product. Parents also thought how it was budget-friendly yet quality. Despite the positive reviews and ratings, some users complained about the thin cushioning and how the fabric was not breathable. It was soaked in sweat and the fabric didn’t dry up. If your child sweats a lot, according to users, this might not be the recommended for hot weather. However, Graco was very quick to accommodate all the complaints and then, provided all the needed replacements for the users. Graco is one of the reliable manufacturers of convertible car seats and if you come across some of their products on Amazon, you’ll surely get quality products. If you only need a forward-facing and rear-facing car seat, you can check the model My Ride 65 LX from Graco. It is compatible for children from 5 to 65 pounds. It is latch-equipped with front-adjustable 5-point harness and easy-to-read level indicator. Its EPS energy absorbing foam is efficient for impact energy management. The cover is washable and the cushion is easy to clean. No mess! Another key feature of this seat is the dual integrated cup holders for your child’s drinks. Undeniably, parents prioritize their child’s safety and make sure the seat their buying is quality and guaranteed safe whenever possible vehicle dangers occur. The My Ride 65 LX is also side-impact tested for occupant retention by the harness system. This can be a suitable seat for your infant. Parents are satisfied with the seat’s compact size and referred to it as one of the most appropriate for small cars. It just fits perfectly inside their vehicle though does not consume too much space. The installation was also said to be quick and easy and the seat belts worked excellently. Some preferred this for 7-month-olds. There were complaints about loose seat belts, the straps need rerouting and the reclining feature is not available. As what their slogan says, “the car seat built to grow for”, Safety 1st 3-in-1 car seat is indeed a practical choice for durability and quality. This can be the car seat that your kids can use as they grow. It can be transitioned from rear-facing to forward-facing and up to booster seat. You don’t have to worry about the next car seat your child would use. The 3-in-1 car seat is recommended for 7 month old children and even up to 4 or 5 years old. However, it still depends on the weight limit. Safety 1st car seat boasts its key features such as the Quickfit harness for easy adjustment as your child grows, harness holders to easily get your child in and out of the seat, washable and easy-clean seat pads and integrated cup holders. The size is just right for your vehicle, specifically for the large ones, and yet gives extra room for parents in the front seat. If you’ll look at the reviews and ratings, most of the users rated it with five stars. They pointed out how comfortable it gets with the soft cushion and their child a good nap with it while traveling. They prefer it for 14-month-old and 6-month-old children. The fit was just right thus comfortable while on the ride. The washable seat pads, back straps, cup holders and the neutral color are some of the features they liked the most. They also love how affordable it is for a quality car seat. This car seat didn’t get much negative reviews which could be your positive basis how excellent the quality of this product is. There is only one complaint about the installation. The user couldn’t get the seat properly installed as it is seemingly not fit in the vehicle. Regarding this matter, Safety 1st was quick to respond. However, this can be a problem for other users or yours too, so it is much better to determine first the size of the car seat if it would be a perfect fit in your vehicle. You should also check your vehicle’s available room. 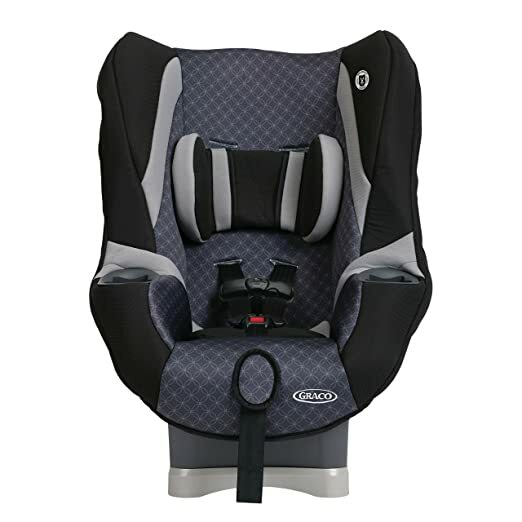 The Nautilus 3-in-1 car seat by Graco is designed to meet your child’s safety needs as he grows up. Whenever your child graduates from his rear-facing car seat, he can transition to forward-facing and eventually, to a booster seat. It would provide a perfect fit for your child as long as his physical aspects are within the age or weight limit the manufacturer provides. It secures your child with its 5-point harness system. It is also crash and side-impact tested,which ensures quality protection for your child. Moreover, to ensure your child’s comfortability inside the vehicle, the Nautilus car seat features a comfy seat pad and body support. The harness and buckle have covers. The arm rests are also padded and adjustable to two positions. The Nautilus 3-in-1 car seat has gone through crash test ratings and it did prove its quality. One user stated it was indeed a lifesaver when they had been involved in a car crash, but since they heeded the convertible car seat safety precaution, their child survived the crash with only little bruises. Some users adored how the car seat was sturdy, easy to install, suitable for all sizes of vehicles and comfortable. On the other hand, among the convertible car seat reviews were the downsides. There were complaints about the insufficient reclining and the harness does not tighten. 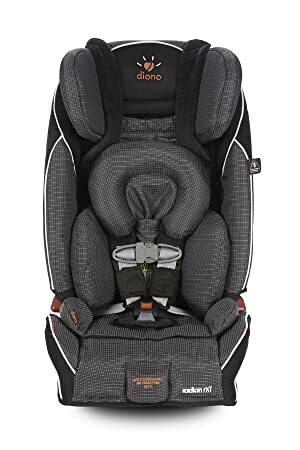 Among the convertible car seat 2019 reviews and ratings, the Diono Radiano All-in-one is one of the most recommended. Not only is it practical for the price but as well with its portability, quality and comfort. It is built with full steel frame for sturdy and durable quality. Since it is convertible to all the types of car seats for children, this could be your best option for your growing family. The rear-facing is applicable for children within 5 to 45 pounds, the forward-facing for 20 to 80 pounds and the booster seat for children from 50 to 120 pounds. 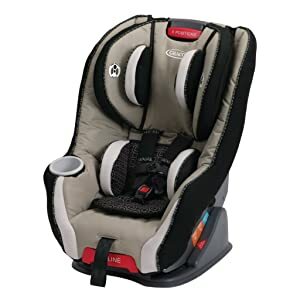 It assures safety with every transition as it features Safe Stop energy absorbing harness system, SuperLatch installation, padded body support, adjustable head support, and 3 buckle positions for cozier ride. The size is just right and perfectly compact. It is suitable for both large and smaller vehicles. If you are looking for something you can bring anywhere, Diono car seat features a folding design for easy storing or transporting. It would probably be your best safety buddy for traveling. It is portable enough for your luggage. The Diono all-in-one car seat deserves a spot among the list of the convertible car seats in 2019. One user had also proven its quality protection when they were in a terrible accident, but their 18-month-old boy survived as the harness belts were able to secure him perfectly. Some users were involved in an accident as well, but they were in great relief as the car seat protected and secured their child with no or less injuries. Others has rated the produce five stars because of its sturdy built, affordable price, great comfort and reliable safety features. Since the material it is built with was a full steel frame, it might add weight to it. This is what other users complained about. Some users were frustrated how heavy it was. If you prefer more than just a subtle color and simple design, Evenflo offers you a rear-facing and forward-facing convertible car seat in different colors. Their pink color is just stunning and perfect for your daughter. Moreover, with its affordable price, you can get quality product with its key features – the adjustable 5-point harness system, rear-facing reclining feature, 4 harness positions, 2 crotch buckle positions, machine-washable pads and removable head pillow for great comfort. It is also side-impact tested which ensures safety for your child. The most commended thing about the Evenflo car seat is the price. If you have a limited budget, this one’s very affordable. Nonetheless, the users liked how lightweight and portable is for traveling inside the vehicle and even for airplane use. Despite the good reviews, there were still negative feedbacks regarding its quality. Some users said that it was indeed cheaper in price yet the quality was not enough. They noted, “You get what you pay for”. They complained about the harness belts of which were not padded and caused a rash in their child, the edges of the plastic were sharp, the installation damaged their vehicle seat and the support was just not enough. Some users had received stained car seats. Are you looking for a forward-facing and rear-facing car seat for your infant or toddler? The Safety 1st car seat would be the perfect fit. It is applicable for children up to 40 pounds. When you child no longer needs the rear-facing, this can be moved to a forward-facing car seat. It features side impact protection, adjustable head rest, lightweight and compact which fits 3 across for larger vehicles. The 5-point harness will keep them secured inside the vehicle at all times. The users were satisfied with the car seat’s quality at its affordable price. It perfectly fits commonly with their 3-year-old and 12-month-old children and you can have this review as a basis if you have children with the same age. The build is sturdy. It also provides great comfort for their children. They recommend this car seat for small car owners because the size is just right and didn’t consume too much space. The product description noted that this car seat is applicable for newborn infants up to children of 40 pounds. However, some complaints stated that the seat was too big for their newborn baby and the straps were too. If the costly price is no big deal, the Britax USA Advocate Clicktight Convertible Seat would be the best choice for great quality and protection. It may be quite expensive than the other brands, your investment sure is an investment in your child’s safety and protection. It is noted as the number one brand in safety technology with its ClickTight installation system which keeps the seat safely and correctly installed. It has 3 layers of side impact protection, impact-absorbing base and steel free which ensure great protection when you are travelling with your children. It also provides easy-adjust 14-position harness for the perfect fit. The Britax car seat consumer reviews reveal that most users had been involved in terrible accidents and yet survived all of them. The Britax car seat was such a great help for the parents and relief as well. It was a great protection for their children who had survived the accidents without or less injuries. 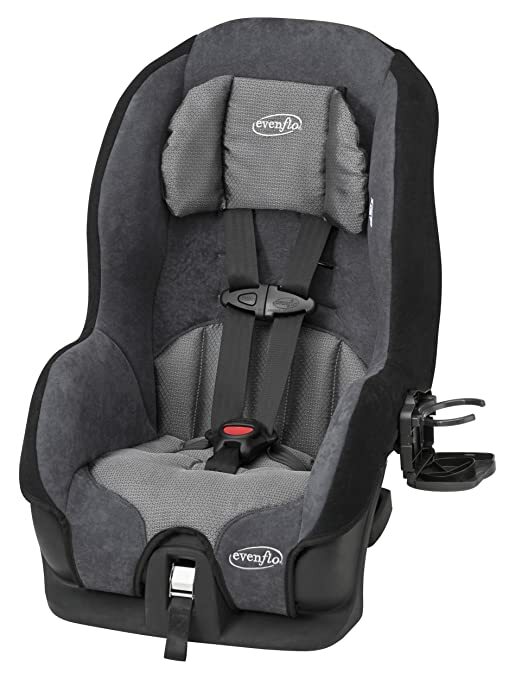 Indeed one of the top child safety seats in regards to your child’s safety and comfort. The size was just right for travelling – compact and lightweight. It is also highly recommended for small car owners. The product received tons of five stars and positive reviews, but there’s a downside regarding the price. It may not be budget-friendly for those who have limited budget. But if you’re looking for great quality and protection, Britax assures you that. The Graco Size4Me car seat is another top-rated car seats on Amazon. It can be used as forward-facing and rear-facing car seat for infants and toddlers. If you want to accommodate your growing child with a good car seat, consider this brand. It is latch-equipped with an easy-to-read level indicator for hassle-free installation. It also features an energy absorbing foam for effective impact energy management, 5 point front-adjust harness, 3-position reclining system, and removable head and body support. Cup holders are also available. With all that spills or dirt, the pads are machine-washable and easy to clean. The Graco car seat has been an effective safety equipment for toddlers and infants. Parents who have bought the item expressed satisfactory regarding the sturdy build, great quality and adjustable harness belts. The installation was also easy and the reclining was sufficient. Users recommend this for those who have 6-month-old babies and large vehicle owners. They also commented how easy it is to clean. Among the negative reviews were about the padding. It was comfortable at times but some reported that it was not that soft and comfy. There was also a complaint about jammed buckle holders. The Safety 1st Alpha Omega Elite is equipped with adjustable 3-position recline which provides superior comfort and convenience for your child’s safety. It features side impact protection removable infant head support, pillow and EPP energy absorbing foam. Arm rests are adjustable too and the cup holders are detachable. As your child graduates from rear-facing car seat, it can be moved to forward-facing position. Eventually, when your child reaches 4 years old or over 40 pounds, the Safety 1st convertible car seat can be changed into a booster seat. With its affordable price, it assures you safety and protection for the years to come. For the booster seat, you can choose between belt-positioning or harnessed car seat. To ensure perfect for the child, the car seat is also equipped with QuickFit headrest that adjusts the harness easily as you transition to the next level of convertible seat. Consumers were quite impressed about the protection the car seat provides. Its brand name sure is worth the quality. It prioritizes the child’s safety, particularly with accidents of which some consumers had experienced. The recline features worked well according to the users. The build was sturdy and the price was very affordable. There were issues regarding the size, harness system and the latch system.Users do not recommend this car seat for small car owners as the size is larger than the other car seats in the market. It had consumed too much space in their vehicle. Some also complained about the difficulty in adjusting the harness. The latch system was also said to be not working properly. They also didn’t like how hard this car seat to install. Right after you consider the factors and reviewed several feedbacks from the consumers, the next thing you might do is to search for the suitable car seat for your child. It is indeed quite difficult not knowing what brands are reliable. There are car seat brands that have been known with their expertise in making the quality child safety seats in the market. 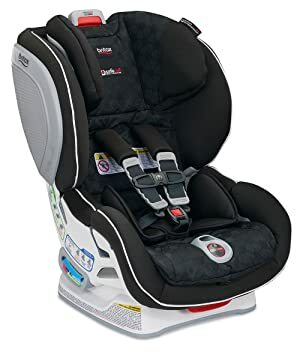 But, if this is your first time to buy a car seat, it is necessary to thoroughly research for the reliable brands, compare the specifications and prices and consider the convertible car seat reviews. Safety 1st, Graco, Evenflo and Britax are some of the best brands. They are known with quality products which provide great comfort and protection. Once you’ve chosen the brand that you think is the best for your child, you should not be abrupt with your decisions just because the price is affordable or the features are pretty impressive. As what was mentioned above, your vehicle’s available room and the size itself are definitely important factors. Convertible car seats are designed in different sizes and their build also affects the weight. If you’re looking for the best car seat for small cars, maybe the one that you own, check the car seat’s size. Does it consume too much space? Does it fit on the vehicle’s seat? The specifications and reviews will help you out with this matter. You’ve got to do the same thing when you have a larger vehicle. No matter how excellent the product is, if it is not suitable for your vehicle,it will not work well. It might jeopardize your child’s safety. Should You Rely On The Convertible Car Seat Reviews? When you buy a product for the first time and you have got no idea how good or bad it is, what do you do? You probably look for the reviews. Yes, convertible car seat reviews are indeed helpful to come up with a right decision regarding the best car seat for your child. Just like on Amazon, the ratings and reviews are provided. Even the photos of the products were posted. However, the ratings and reviews do not deliver one voice. As what most reviews are, there could be positive and negative feedbacks. There might impressive reviews but complaints would still arise. Then again, if you are still indecisive about what brand or product you should choose, thorough research can be helpful. Should Your Convertible Car Seat Always Have To Be Expensive? The common misconception is expensive brands are always the best ones. You might have thought the same thing, but the answer is a definite NO. Durable and excellent convertible car seats need not to be expensive and not always be. A cheap car seat does not mean cheap in quality. There are available ones on the market, particularly online, that are excellent in quality. Such brands as the Safety 1st and Graco, offer affordable convertible car seats. If you have limited budget and looking for an affordable car seat, consider these brands. Your child’s safety and comfort do not need to be costly and a burden in your budget. The product list above were according to the ratings and reviews from the consumers. 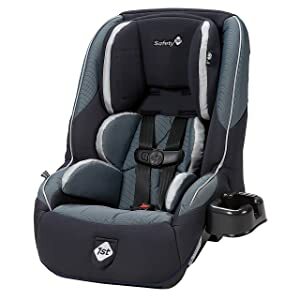 It is listed to help you what car seat you should choose but if you wish to know check other products than these, you can check the best-sellers on Amazon. The convertible car seat safety ratings, on the other hand, reveal which seat is reliable whenever an accident occurs. Tests are conducted to make sure they can protect the child against any fatal accidents. Those seats that are guaranteed side-impact and crash tested ensure superior protection for the children. Among the consumer reviews were genuine experiences about their terrible accidents of which their child had survived because of a convertible car seat. With such results and reviews, particular car seats gain ratings and labelled top-rated with their excellent quality and performance. After going over the reviews, you ended up with one option. It’s neither a rear-facing car seat nor a forward-facing but a booster seat. When your 4-year-old kid or maybe younger but heavier than the required weight limit, outgrows the forward-facing convertible seat, it is time to change to a booster seat. What is a booster seat?When should you transition to a booster seat? Is it expensive? 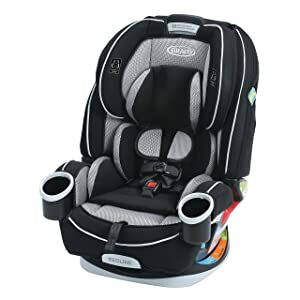 Just like the other available car seats on the market, particularly on Amazon, booster seats are not that costly.However, some parents find it practical to purchase an all-in-one or 3-in-one car seat for their child while at an early age. These booster seats are designed to elevate the child’s position to perfectly fit on the car’s seatbelt. But remember, you can only transition to a booster seat when you notice that your child seems too big for the forward-facing seat or he is not within the age or weight limit anymore. Is A Convertible Car Seat With Detachable Base Preferrable? As what most convertible car seats are designed, installation is needed to keep the seat in place while inside the vehicle, but that could be a problem is you often take the seat on and off the vehicle. Hence, a convertible car seat with detachable base is preferred by most parents. They find it more convenient to snap the seat on and off. However, according to the crash tests conducted, reports show that a car seat with a detachable base can cause fatal injuries on the child. Detachable seats do set up limitations when it comes to weight but these are not always reliable. When the Consumer Reports conducted a test with a baby replica, detachable seats cannot hold or bear the weight of the infant even if it is within the weight limit. The structure may be for the convenience but not for the quality. In regards to this, detachable seats may provide convenience to the parents but not for the children. Parents are always reminded not to use the car seats that are no longer appropriate for the child. As they child grows, their physical frames change which may not be suitable for the car seat anymore. Rear-facing convertible seats are only applicable, on the average basis, for infants weighing up to 30 or 40 pounds. Check the car seat’s shoulder support. Your child is too big for the rear-facing seat if he is taller than the shoulder support or indicator. If your child cannot stretch his legs comfortably, you do have to transition the seat to forward—facing. 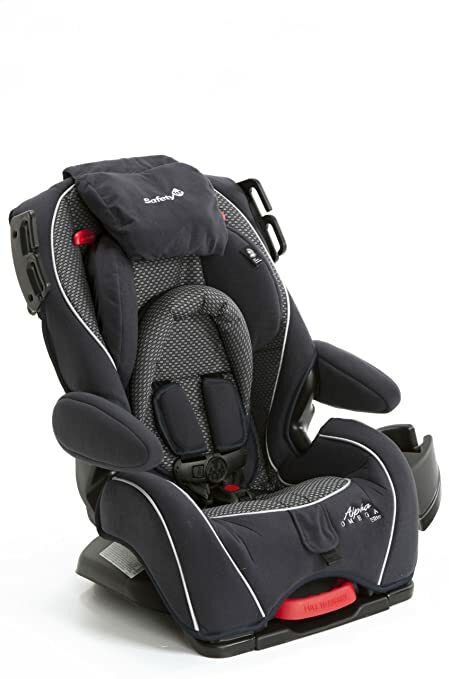 When you travel for long trips or overseas, you absolutely prefer a child safety seat that is suitable for travelling. It should be something your child will be comfortable with. It should also portable, easy to store and lightweight since you’ll be carrying it around most of the time. Particularly for airplane use, it should be a convertible car seat and stroller in one. It is, however, what travelling parents prefer when carrying luggage and bags for more convenient trip. Other convertible car seats are innovatively designed with a folding feature where it can be folded and carried on the back with back straps. You can look for such car seats that acquire such features. However, the price range may not be the same as those with ordinary features. You may prepare your budget for these customized car seats. There are a lot of available car seats on the market, but how would you know if it is safe for your child? Check if it is crash and side-impact tested. The build should be sturdy and durable. If you buy an all-in-one or 3-in-oneconvertible car seat, make sure its material and quality can last for many years. Detachable seats may be convenient but not preferable. According to the American Academy of Pediatricians, you should STOP using a child restraint or throw it away 7 years after the date of manufacture. Prioritize your child’s comfort. Look for a seat that would perfectly fit your child. How Should You Clean A Car Seat? Spills and dirt are inevitable when you have a child in the vehicle. They do love to eat and play at the same time, which causes quite a mess inside the car and on the car seat. So, how should you clean a car seat? First and foremost, read your car seat’s manual. Remove the car seat cover. Hand-wash the cover with mild soap or detergent and water. If the instruction indicates that the cover or fabric is machine-washable, you can do it so. For the buckles, remove them from the seat and rinse with a running water. Don’t submerge the buckles and straps in the water. For the corners of the seat or pads, you can brush it down lightly or use a mini vacuum. These are some tips you should take note of when cleaning the car seat. However, it still depends on the material your car seat is made of.Some of them are machine-washable but some are not. Check the manual or ask your manufacturer regarding the proper cleaning. Though these convertible car seats can be purchased on physical stores, Amazon provides the best car seats at the most affordable prices. You can navigate these items easily through the best-sellers section. They also put the items on sale time to time, especially on holidays. The reviews and ratings would also help the consumers to know which convertible car seat to buy. I have a 12-year-old kid, can I use a convertible car seat? It depends. As what was noted in the details above, each car seat has its own weight or age limit. Convertible car seats are usually preferred for children up to 10 years old. But if your 12-year-old child does not exceed the weight limit, you can use a car seat or better yet, a booster seat. How do I know if the car seat is not safe to use? On an average basis, manufacturers recommend replacing the car seats after 7 years of use. It still depends on the manufacturer. Some recommend replacements after 8 to 10 years. However, it is also your responsibility to always check the car seat time to time if it is still at its highest quality. You must be thorough as the seat might get worn out as the years pass by. Why is it important to transition a car seat to another level? It is indeed important to move or transition your child’s safety seat to the next seat. It is for your child’s protection. Wrong seats won’t provide protection to your child even if it is the most expensive or the most excellent quality. If your child does not perfectly fit on the seat, it won’t be effective and won’t work well when collision occurs. It may cause damage or fatal injuries. Transitioning your child’s seat to the next one is giving a higher level or protection. As a parent, you always look for something that can shield their children against any possible dangers. Travelling is a risk to your child’s safety but you want your child to be comfortable and safe at the same time. Getting the best convertible car seat for your child can be one of the vital steps to the utmost protection.